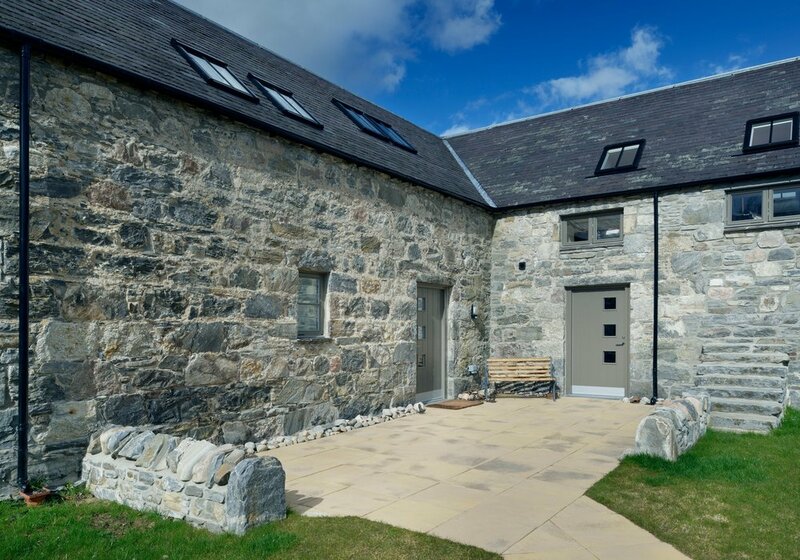 Osprey Lodge is a traditional stone built property recently developed out of a 200 year old coach house and stables to create a luxury interior with a double height sitting area featuring a large westerly facing window that opens onto the patio. 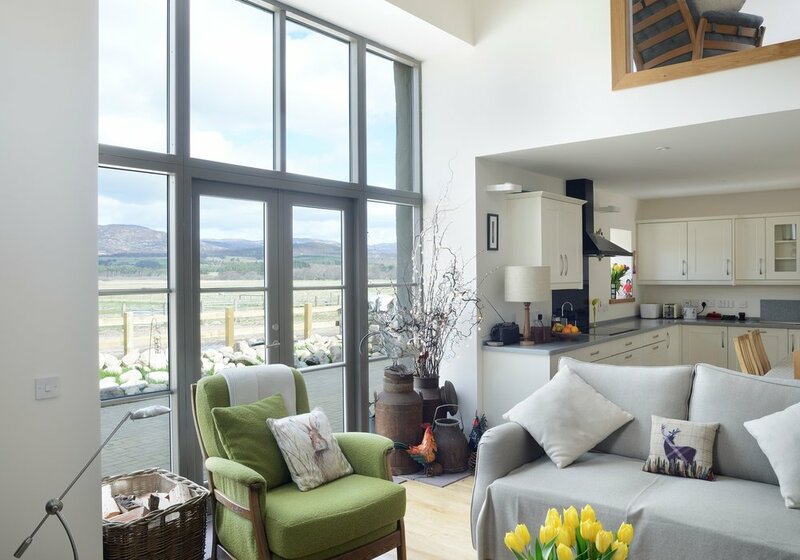 You can enjoy the stunning views both from inside and out. The hot tub is the perfect place to take it all in or when it is dark you can just enjoy the stars. 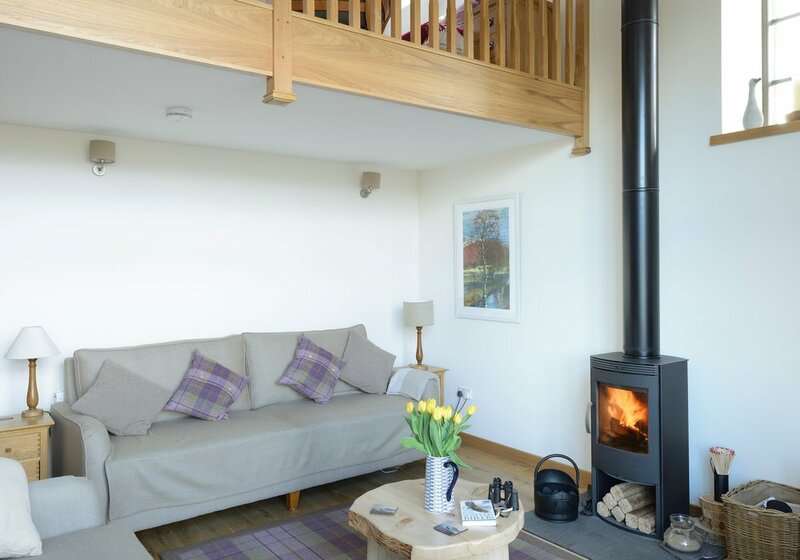 The lodge is surrounded by rivers, wetland, the Cairngorm mountains and a vast array of wildlife. 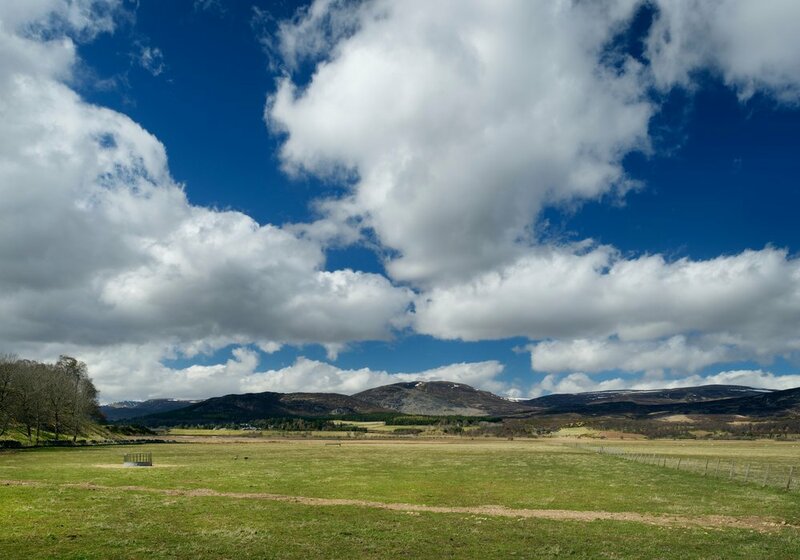 From your doorstep you can immediately access beautiful walking paths through the RSPB reserve as well as excellent mountain biking and cycling routes together with Munro bagging, climbing and skiing on the Cairngorms. 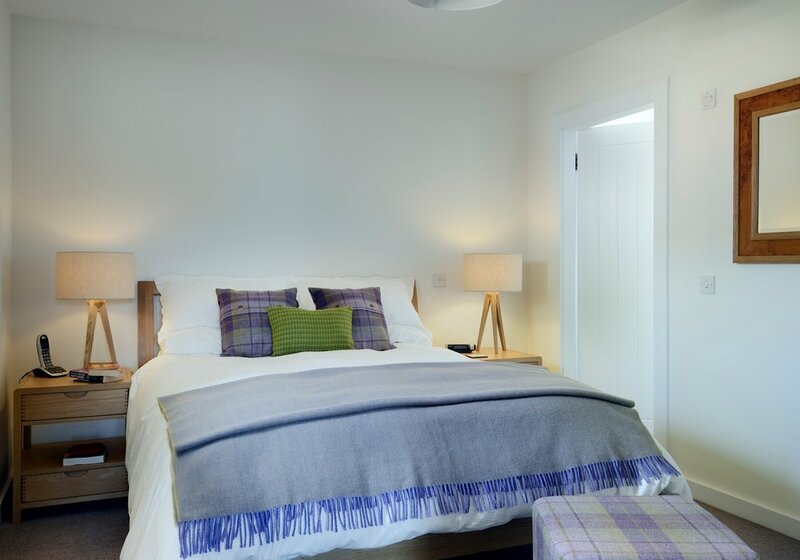 Internally the lodge is modern and tastefully furnished in Anta and Bute Scottish quality fabrics, with extremely comfortable beds as well as having a well equipped kitchen. 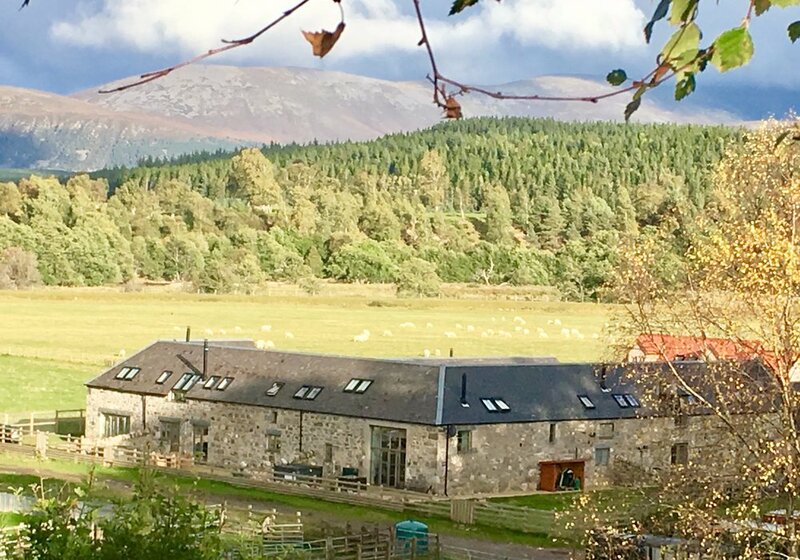 Only 5 minutes from Kingussie and 15 minutes from Aviemore, Osprey Lodge is perfect for a get together, an adventure holiday or a quiet relaxing break. Dogs (2 max) are welcome. Kingussie has a mini market, cash machine, chemist, butcher, restaurants, pubs and coffee shops. 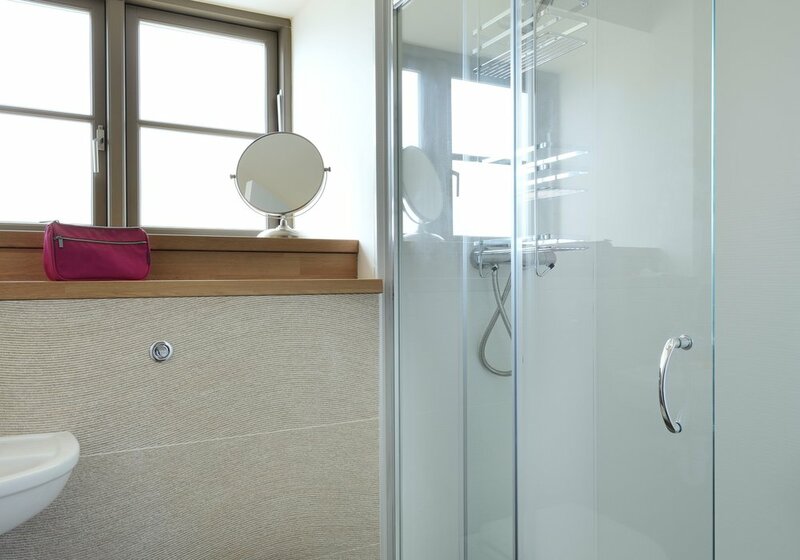 2 king size bedrooms with ensuite bathrooms. 1 king size bedroom with 2 single beds that can link to create a superking bed. 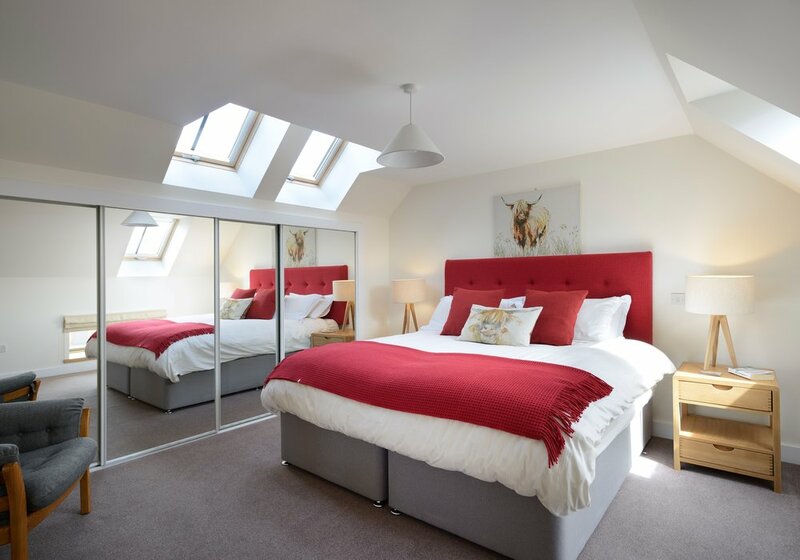 Studio on the mezzanine level with 2 single beds. Travel cot is also provided as well as a high chair. Paved south west facing patio with hot tub and views to the mountains. Good size garden suitable for children with drying line. Garden fenced to prevent dogs from escaping and disturbing the sheep. Bike, ski and wood store in the courtyard. 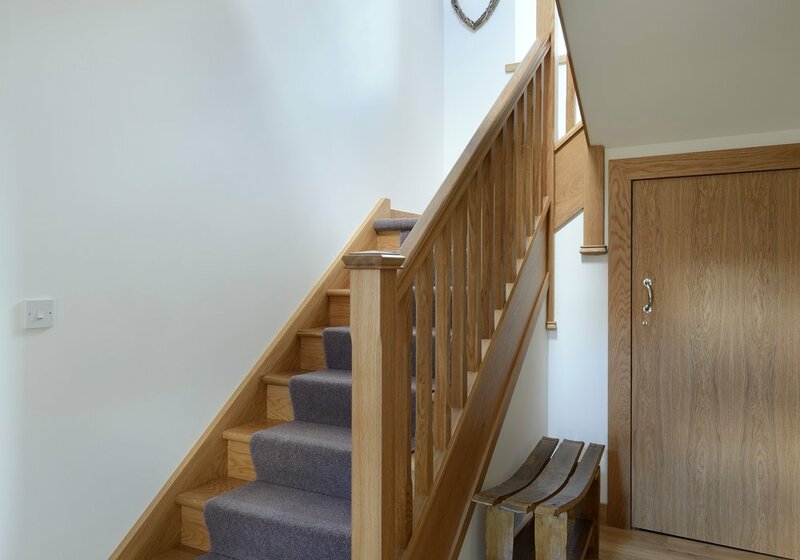 Property cannot accommodate wheelchairs but there is a downstairs bedroom and bathrooms to make things easier. David Murray's School of Mountain Biking is just 50 yards away. 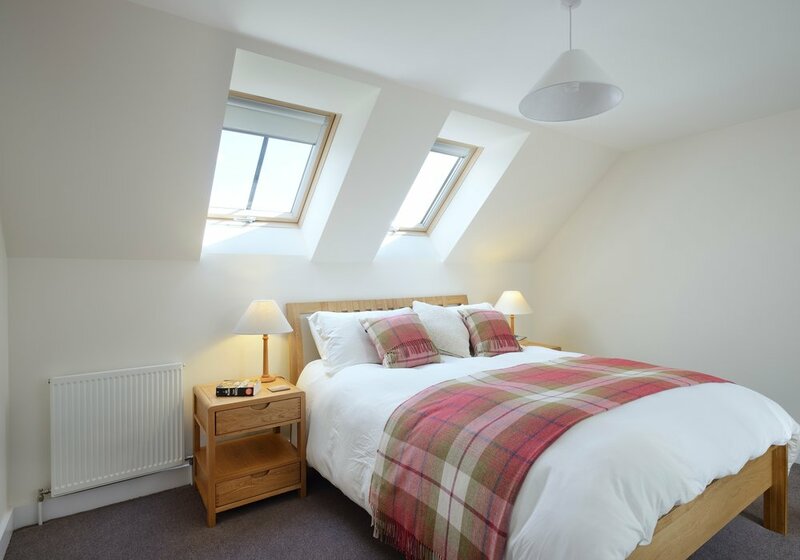 Prices from £149 - £499 (Nightly). 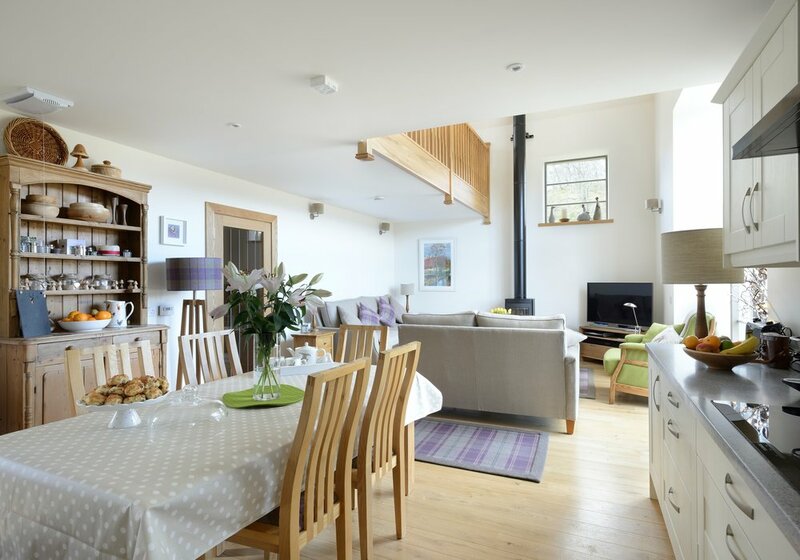 Short breaks Mon to Fri or Fri to Mon. 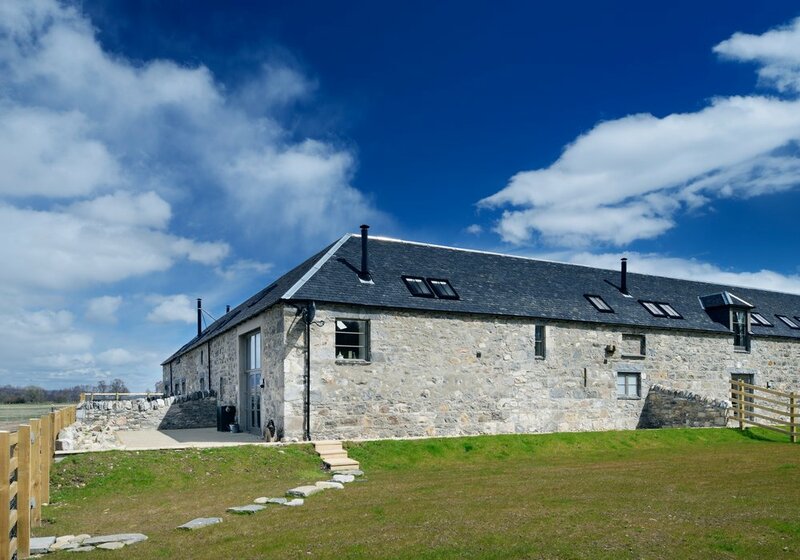 Osprey Lodge is just 2 miles from Kingussie along the B970 back road from Kingussie to Aviemore. Kingussie itself is just off the A9 and as well as being easily reached by car and bus has its own railway station with the London sleeper one of the regular trains. Taxis can be ordered from Aviemore. Using Google maps-link below-we are easy to find. 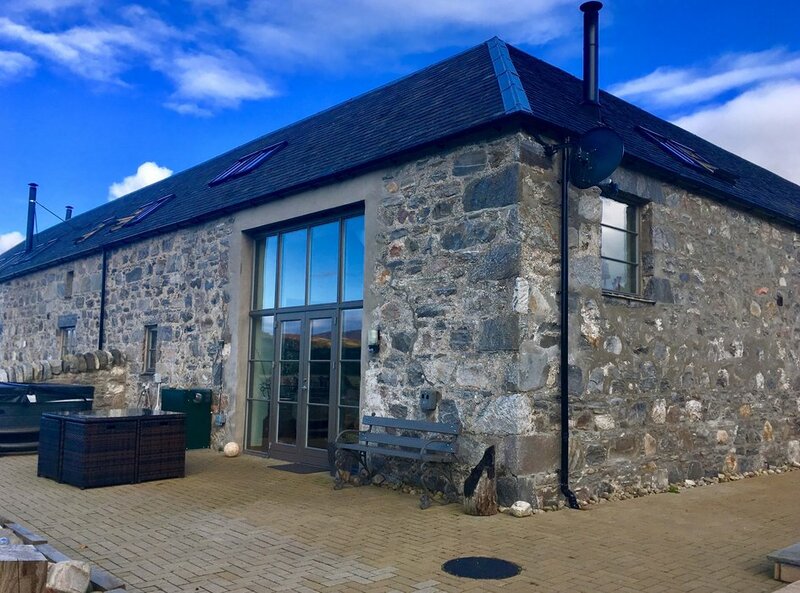 We are only 2.5 hours from Aberdeen and Glasgow, 2 hours from Edinburgh, 1.5 hrs from both Fort William and Perth and Inverness is just 1 hrs drive away. 1. Take the A9 to Kingussie, turn onto A86 towards Kingussie. 2. Travel along Kingussie High Street for 0.7 miles and take the left turning opposite the Duke of Gordon Hotel onto Station Road. 3. 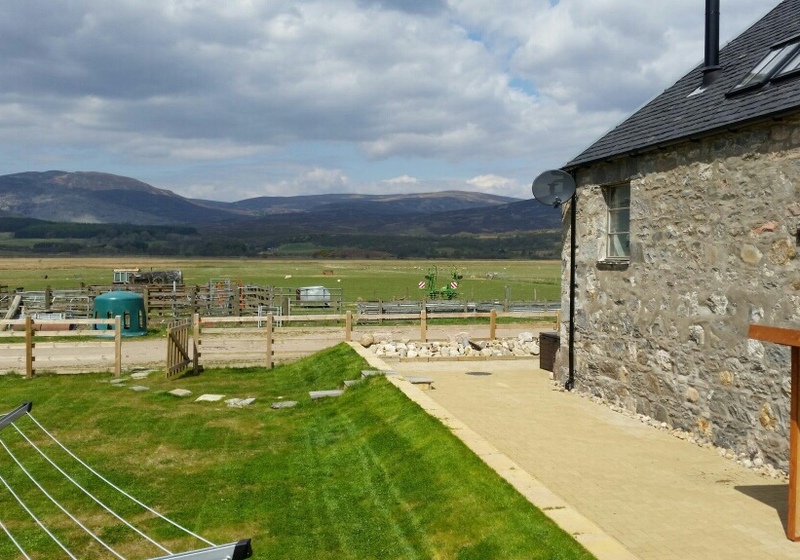 Travel for 1.9 miles past the Train Station, over the train line, over the Spey Bridge, past the Ruthven Barracks on your left and past the RSPB Insh Marsh Reserve car park. 4. You will then pass a small group of cottages on your right and just 100 yards after them take the next left turning down to Invertromie (there is a sign to Osprey Lodge on the left at the end of the road next to bins). 5. After 0.4 mile you will see a stone house on the left and stone buildings to the right. 6. Park in the car park over the cattle grid on the right and walk down into the yard where you will find Osprey Lodge in the far left hand side. 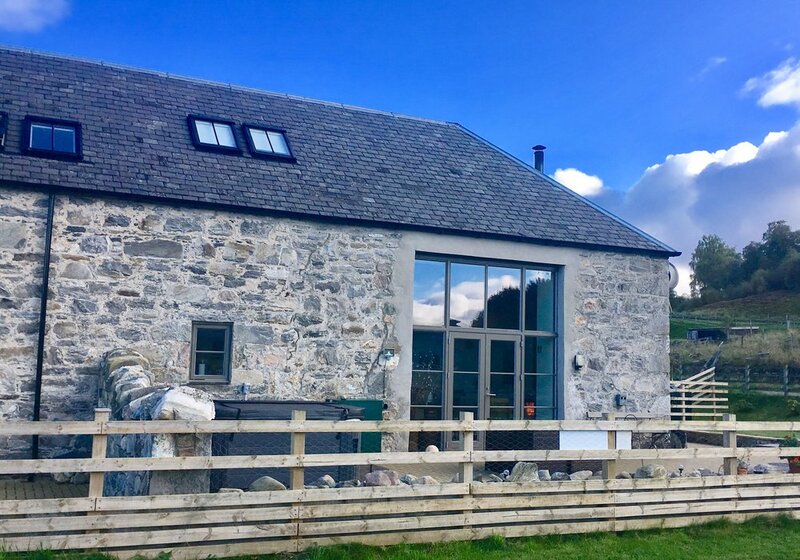 Situated in a beautiful secluded spot within RSPB Insh Marsh Nature Reserve with spectacular views of the Spey valley, the Cairngorms and the Monadhliath mountains. 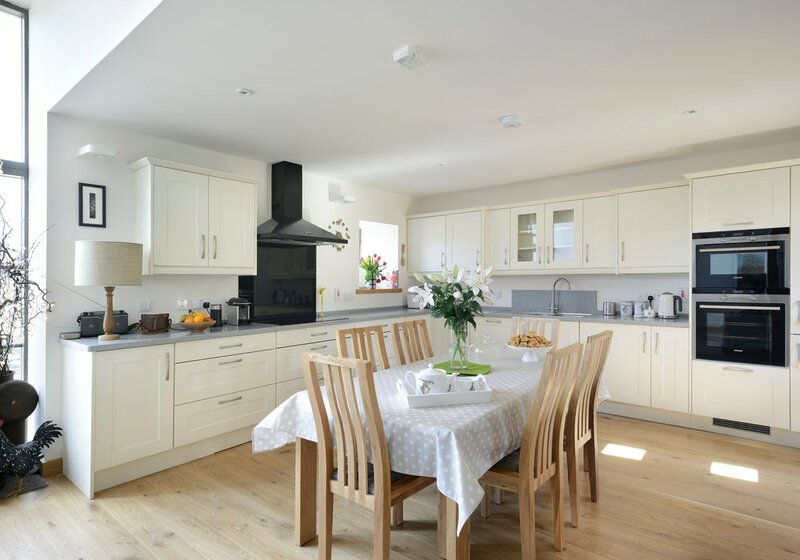 Osprey Lodge offers doorstep access to enthusiasts of all sorts-photography, wildlife, bird watching, unusual plants, walking, cycling and mountain biking. 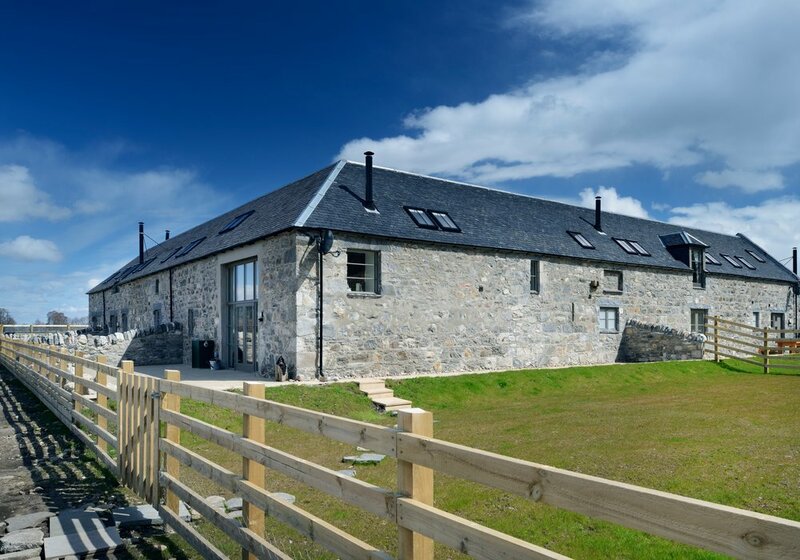 Within 20 miles you can access skiing, sailing, climbing, zip wires, paint ball together with the Highland Wildlife Park at Kincraig as well as visiting the Speyside Whisky Distillery (1.5 miles) and the Inschriach gin distillery (9 miles) . 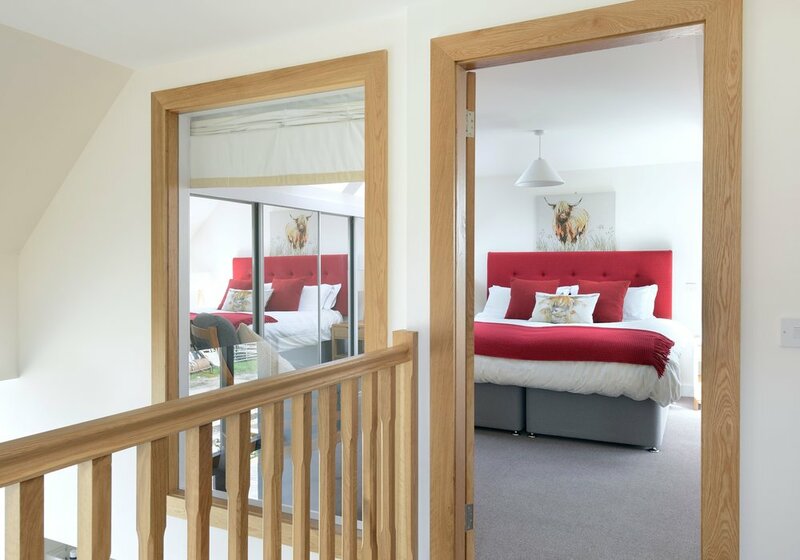 Equally you can just shut the doors and enjoy the peace and quiet and comfort provided by Osprey Lodge. Start the day with a coffee in the courtyard which catches the morning sunshine. 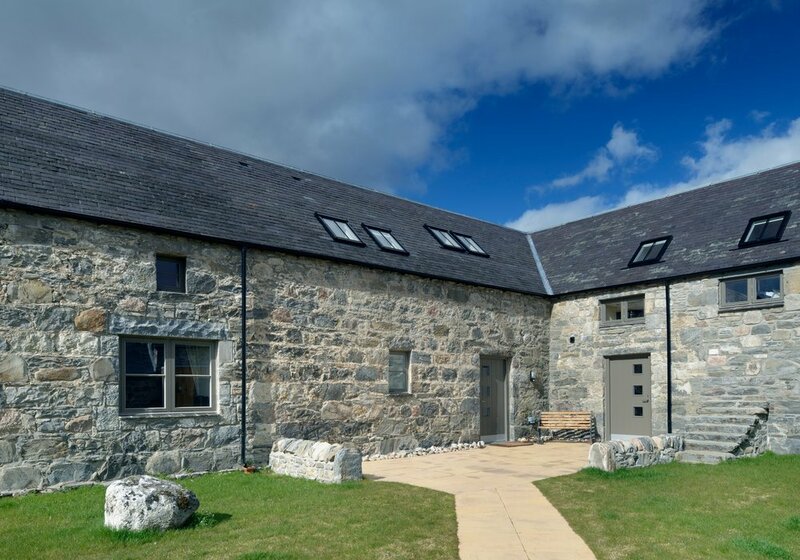 Enjoy a stroll along one of the many nature trails in the RSPB Insh Marshes National Nature Reserve (dogs are allowed on all footpaths), looking out for nesting lapwings, redshanks and curlews as well as Golden eagles, Marsh harriers and in summer Ospreys. Hike along the Tromie River, through woodland to Tromie Bridge looking out for deer and red squirrels. 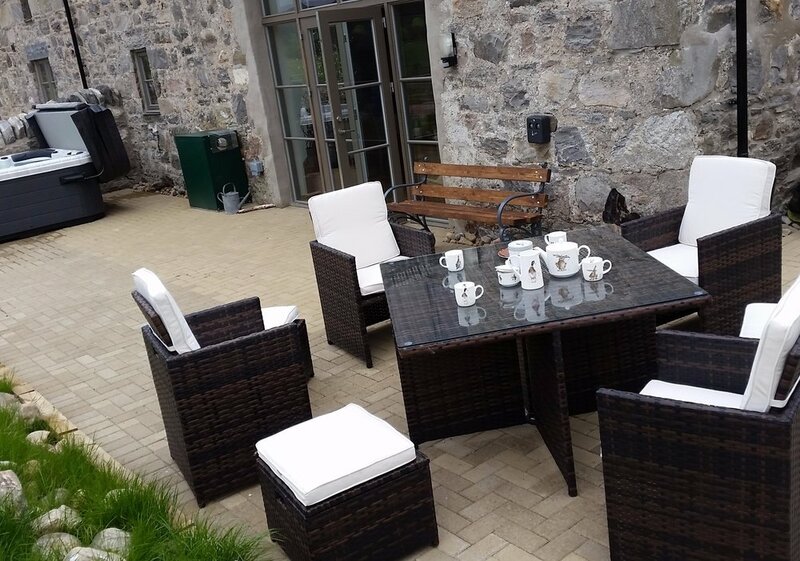 You must have a fantastic afternoon tea and cake at the Potting shed at Inshriach sitting within 4 feet of a wide variety of small birds and red squirrles feeding. 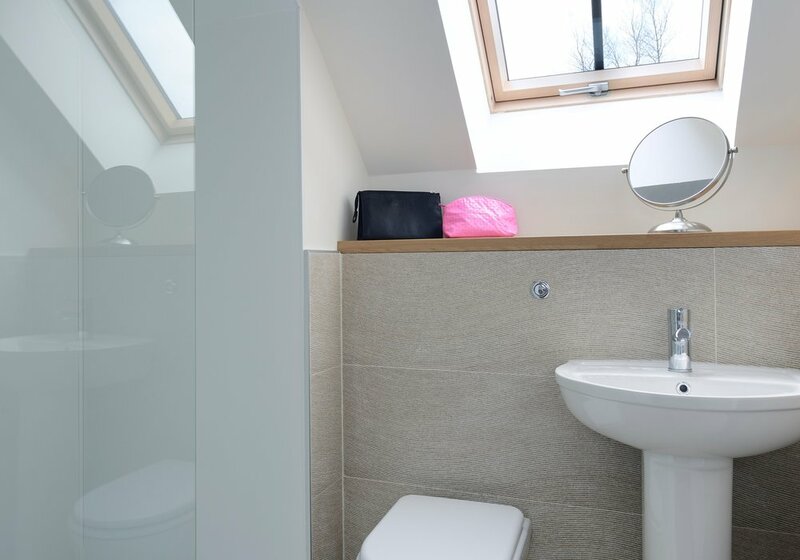 ( You will need to book in advance 01540651287 from 1/3/2018. Visit Loch Insh at Kincraig for a great view of the Ospreys which are resident on the island. Wildlife boat trips tour Insh Marshes and the River Spey. The Loch Insh Outdoor Centre provides a range of watersports as well as some other activities such as archery and ski lessons. 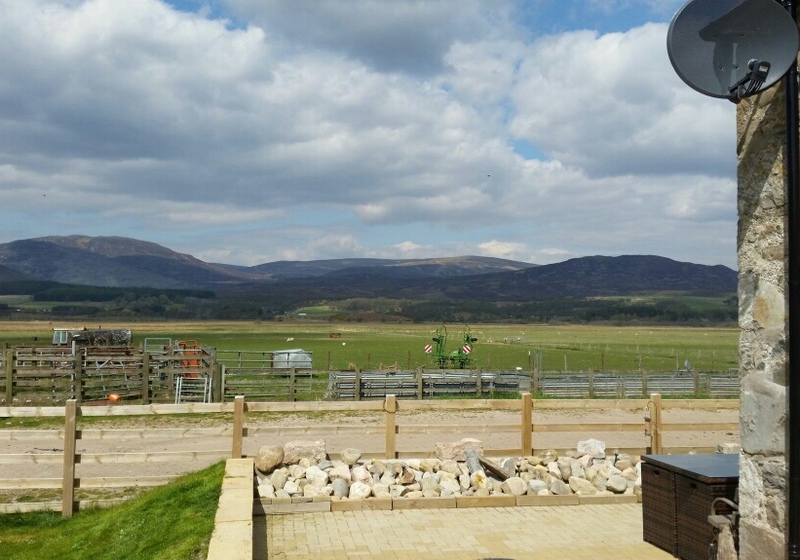 Discover Scottish wildlife at the nearby Highland Wildlife Park which is a 260 acre safari park run by Royal Zoological Society of Scotland and check out Alvie Estate for deer feeding and photography, zip wire, horse riding, gorge walking, paintball, archery and clay pigeon shooting. 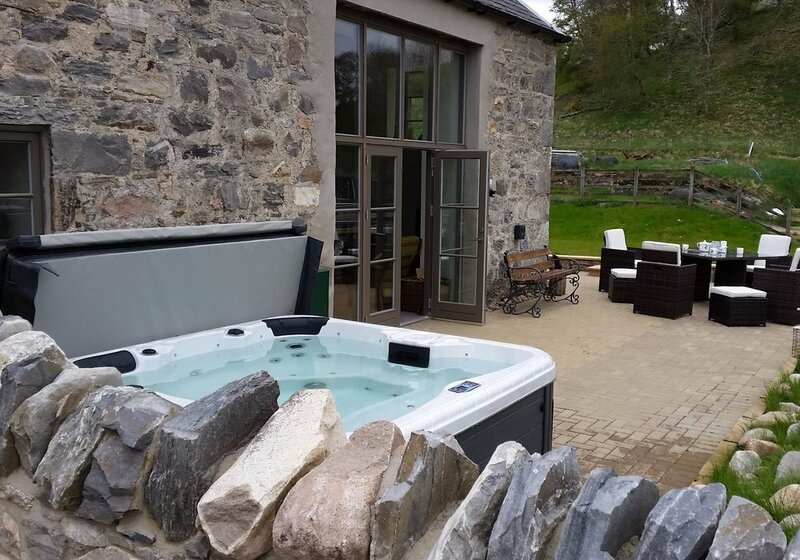 Relax in the hot tub at the end of the day, taking in mountain and valley views in the evening sunshine or enjoy the clear dark night skies and the stars. Other activities include hill walking, golfing, mountain biking, fishing, clay shooting, skiing. 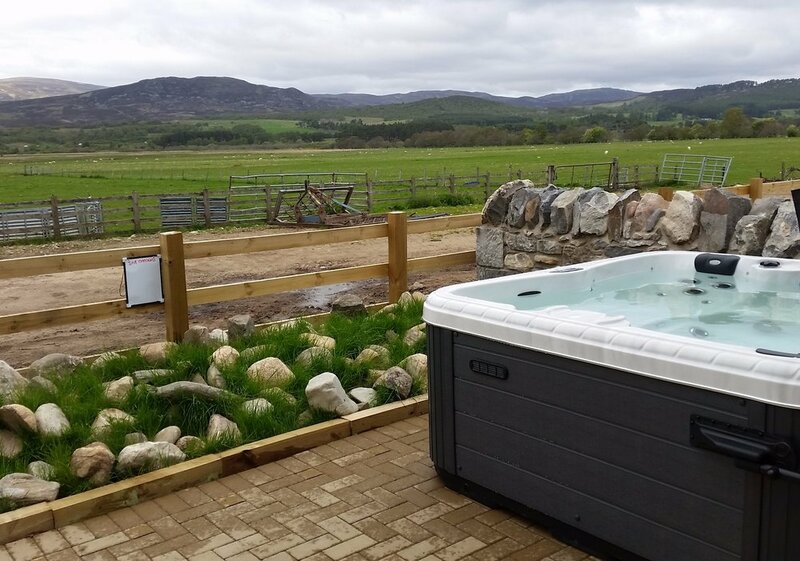 Osprey Lodge with its own hot tub is a stunning lodge with beautiful scenery and so peaceful , lots to see and do in the surrounding area . My family and I had a fantastic time . We will definitely be returning in the future and highly recommended this place . Top notch accommodation. Great location. Loved it. Lots of biking, walking and all on the door step!